I thought hospice would break me. I thought watching someone I love die would be devastating. What I didn't understand until I experienced it was that watching someone live was far more meaningful. The first time I listened to our veterinarian deliver a life-limiting diagnosis, I felt numb. I wanted her to make him whole so he would live for years. I wanted her to fix him. Vaughn was six years old when he began showing signs of liver failure. His veterinarian determined he had chronic active hepatitis, and she gently and firmly told us that he would not recover. The most we could do was keep him comfortable and hopefully slow the progression of his illness. Vaughn stayed with us for 18 months after his diagnosis. His veterinarian expected six months. Maybe that’s a miracle and maybe it’s not. I can say that in accepting what was happening in his body, I opened myself to the possibility of being with him rather than being with his diagnosis. The gift of hospice is presence. Hospice isn’t about giving up or waiting for death. It’s not doom and gloom. Hospice is about embracing the best life that is possible today. It’s about living. Sure, hospice care is often exhausting, mentally, emotionally, and physically. Offering mobility assistance to Vaughn, who was 140 pounds, when he needed it was tough for little ol’ 110 pound me. I did it because caring for him was an honor. Preparing special meals for him and keeping track of his medications was tedious and time consuming. I did it because I knew what a difference they made to his comfort. Cleaning up vomit and urine and poop . . . all not my favorite things and yet fragrant reminders that in that moment he was with us. Vaughn was my first hospice experience, and I was fortunate to have the support of a fantastic veterinarian who mentored me and supported the view that his days were about comfort, not treatment. From the patient’s perspective, that’s what hospice does – it manages symptoms well enough that life can be enjoyable. 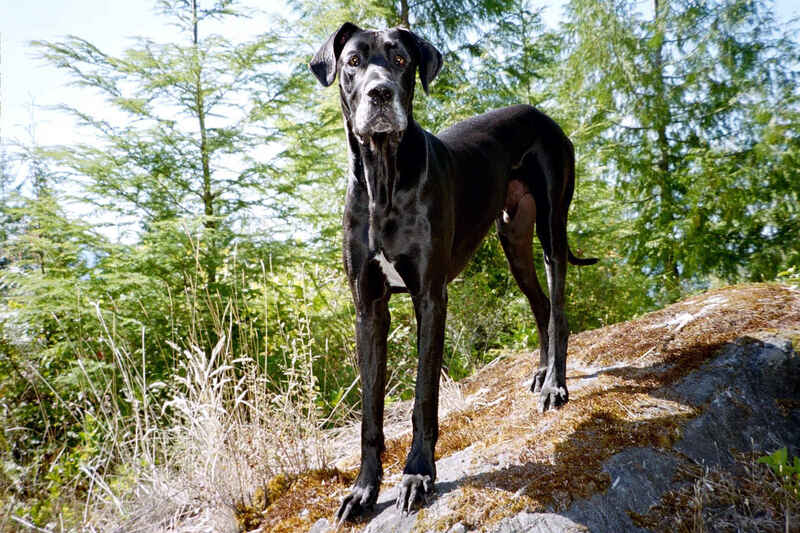 Since Vaughn, I’ve provided hospice for three other Great Danes and two cats. Each experience has been different in the type and length of care involved. Every one marked me. Here is what I carry with me. Joy matters, and it’s often in the small stuff. Going for a walk around the block may seem like a small thing when you used to walk for miles. Being outside and taking in the details of life is a beautiful exercise for heart and mind. Today matters more than tomorrow will and yesterday ever could. It’s trite, I know. When I put my energy into the day we had to share rather than speculating about how many days were left, we both felt more at ease. It is much better to have possibilities than plans. Plans go awry, and because they are, you know, planned, it feels massively disruptive and disappointing. Possibilities are flexible. They are ready for changes in schedule, and that’s important because hospice care provides for plenty of surprises and disruptions. Being attached to a particular plan (or any outcome) creates anxiety when the plan comes apart. See others for who they are. It was difficult for me to get past the diagnosis, and there were definitely days that I felt stuck there. Vaughn was so much more that his liver failure. Giving someone comfort in a difficult time is . . . it’s hard to find the words for it. It is worth the hard work. These little reminders change my daily interactions with others. Because of hospice, I tune into others more readily. Because of hospice, I work harder to see who people (and animals) really are instead of making assumptions about their behaviors. I live with greater gratitude. I worry less. I can adapt and handle life’s hiccups with grace. Most of the time. I thought hospice would break me. I thought watching someone I love die would be devastating. What I didn’t understand until I experienced it was that watching someone live was far more meaningful. Animal hospice is the walk to the end of the driveway because that’s far enough. It’s sharing an exquisite sunbeam. It’s feeling immense, heart-bursting gratitude for this day. It’s seeing glimmers of youth and appreciating how much wisdom and compassion come with age and experience. It’s reflecting on how much this relationship changes everything. Hospice is about living. It is about love. That’s a gift I always want to give, and giving it is one of the best gifts I can give to myself.